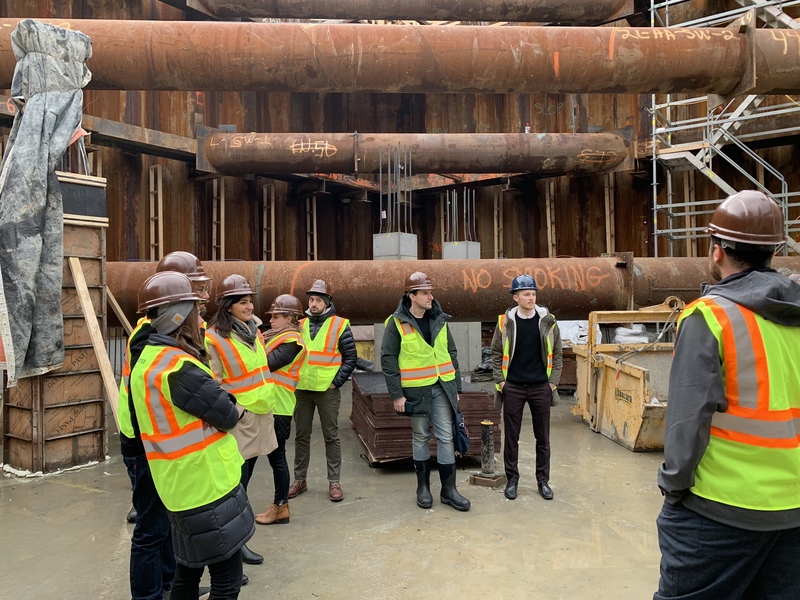 A team of Utilians took a visit last week to our project at 370-380 Harrison Ave in Boston’s SoWa neighborhood. 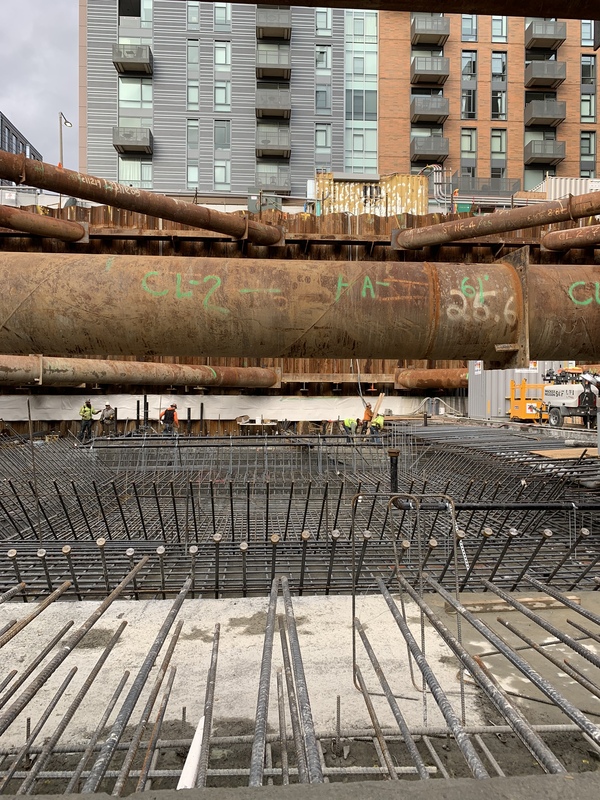 Designed in partnership with Robert A. M. Stern Architects, the 273-unit mixed-use project will bring renewed vitality to a vacant factory site, connecting the emergent New York Streets neighborhood and the historic South End with a generous tree-lined streetscape and 8,500 square feet of retail space. 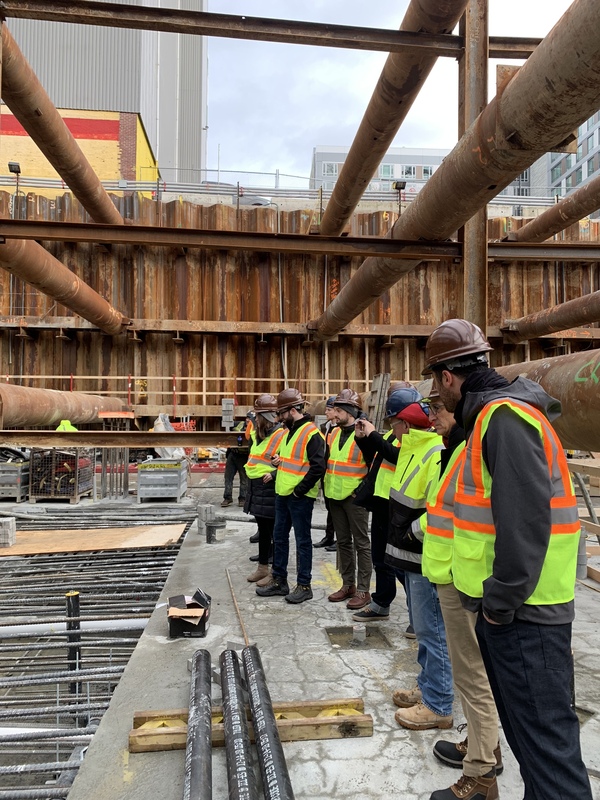 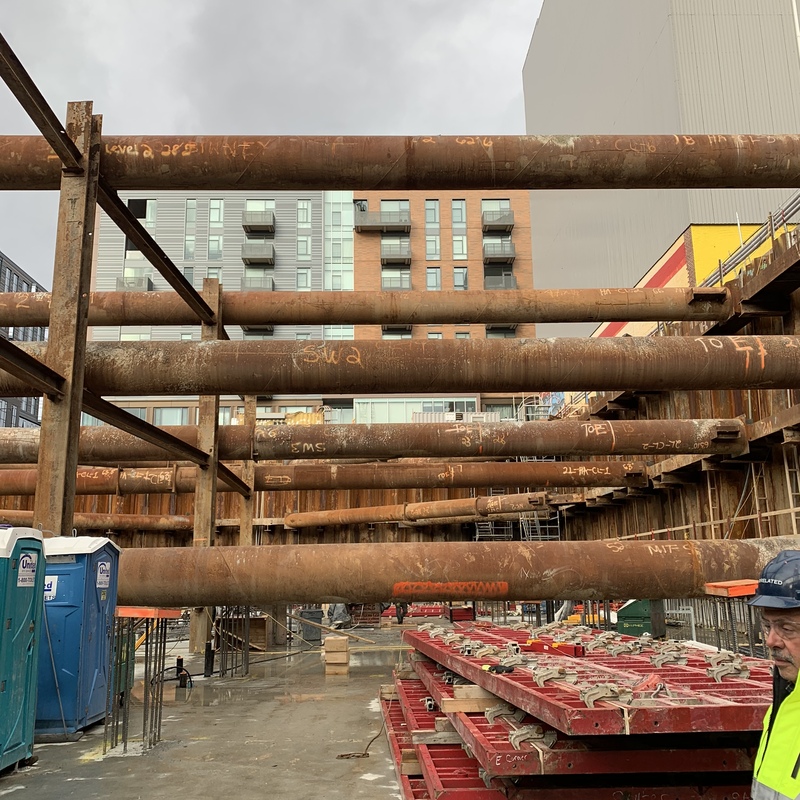 While visiting the site, the team checked out the massive steel foundations currently visible in what will become the building’s below-grade parking garage, and had an up-close and personal view of the the tallest crane in the neighborhood.